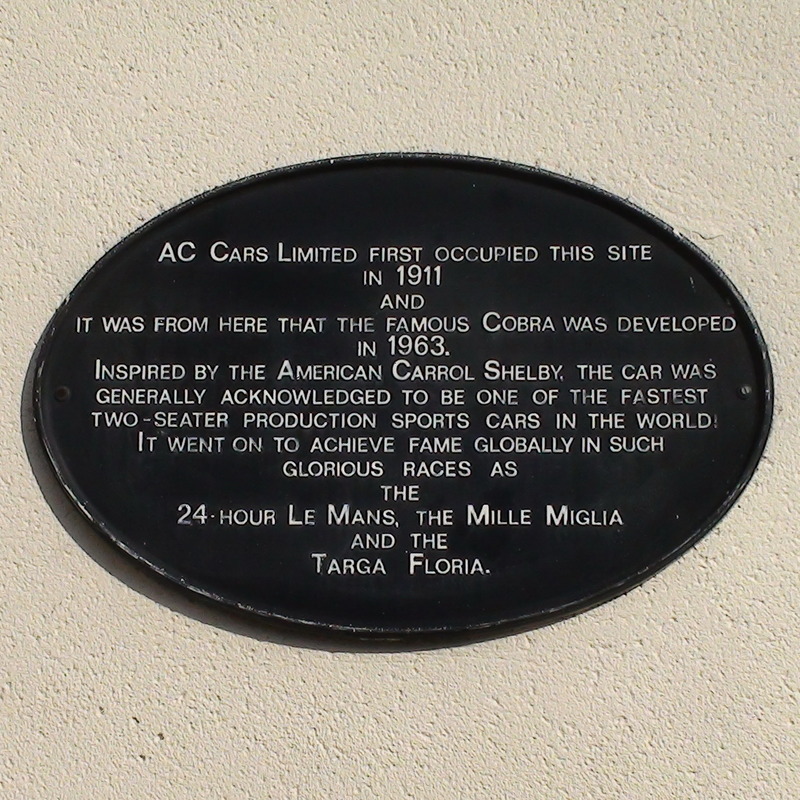 AC Cars Limited first occupied this site in 1911 and it was from here that the famous Cobra was developed in 1963. Inspired by the American Carroll Shelby, the car was generally acknowledged to be one of the fastest two-seater production sports cars in the world. It went on to achieve fame globally in such glorious races as the 24-hour Le Mans, the Mille Miglia and the Targa Floria. Note: the plaque actually has "Carrol Shelby" which is a mistake.